If you only need to carry a coat, it can often fit over the front seat headrest, draped over the back of the seat. If you have the parcel shelf, it can also be a great place to lay a jacket or dry-cleaning as the rear seats and hatch will prevent sliding around much. 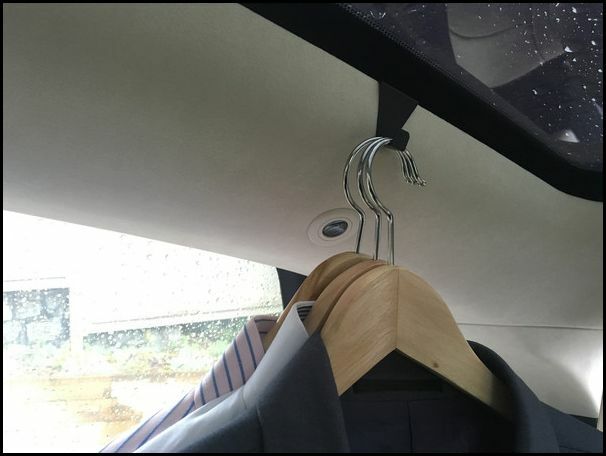 This solution requires no screws and the hook can be moved to your preferred location along the side. Another good solution for a movable hook. It is available in black or silver.